Music which bills itself as terrifying has really...lost its luster. Yes, there are a select few (Gnaw Their Tongues and other Mories-related projects come to mind) who reek of human filth, hewn in tattered flesh and loathing, but others just seem more like a caricature. Maybe the oodles of horror movies and that weird period in my life when I did way too much research on serial killers altered my recognition of the horrific, but I still feel as if what is known as "scary" has become more obvious than the odd dread of the unknown which pervaded earlier "shocking material." Knowing of ASVA's previous, heady output, I didn't expect to find myself frightened upon listening to Empires Should Burn, Dahlquist's collaborative effort with composer Philippe Petit, and yet I found myself looking over my shoulder once in a while, something I hadn't done since my first experience with occult French weirdo Moëvöt. 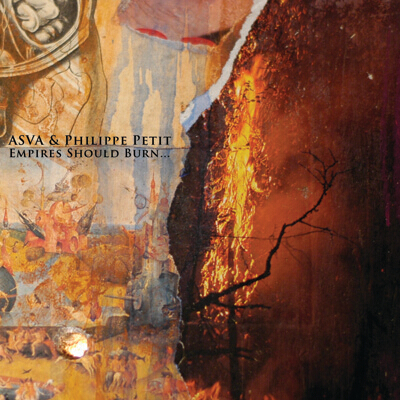 Though ASVA and Petit's own discographies are much more progressive and, at times, oddly beautiful, Empires Should Burn is a descent into the madness of the inner psyche. 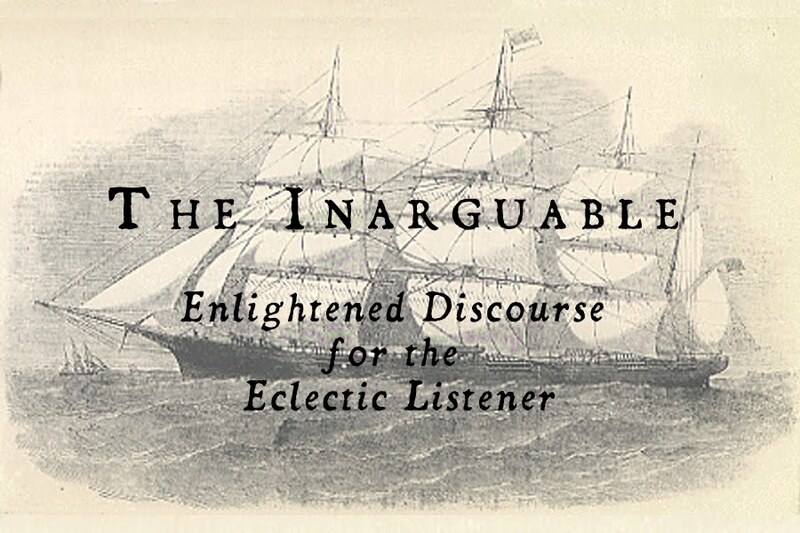 A bubbling mass of deep drones, smoldering in the distance, and the sharp jabs of Petit's homemade hammered dulcimer, the uneasiness found in this album is one which follows you beyond the final turns of one's record player. Subtle melodies whisper their way into the fold now and again, but only after a few listens can one fully grasp their presence in the seemingly endless nightmare landscapes put forth. Utilizing the spoken word talents of Jarboe, Bryan Lewis Saunders, and an especially memorable monologue by Legendary Pink Dots madman Edward Ka-Spel, each track found on Empires Should Burn takes on a different character, each manifesting as a different form of terror. Lengthy opener and title track "And Empires Will Burn" takes up a full side of the LP edition, with Dahlquist and Petit acting as a sort of demon orchestra for Edward Ka-Spel's monotone ramblings of obsession, corruption, greed, and so on. A specific mentioning of the subject's "tiny feet" always gets me. Maybe it's my recent week long runthrough of both seasons of Twin Peaks, but I immediately picture the deranged "Man from Another Place" and am taken to the surreal Black Lodge. It's a weird feeling, but I love it. Saunders and Jarboe's contributions are nothing short of stellar as well, each relying on "against your eardrums" whispers, dictating surrealist nightmares, melting into your mind. You have to prepare yourself for an album like this. Collaborations like Empires Should Burn don't come around every year, or every few years. It's special, but in that mind-bending, "I need to take a break for a bit" way that the most oppressive music tends to be. To call Empires Should Burn unsettling is an understatement - this album is made from twisted stomachs, standing neck hairs, and eyes gingerly peering over shoulders. Immerse yourself if you dare.